We offer a loaner program to teachers in the USA who want to complete our professional development training. You'll receive a Base Circuit Kit in the mail, complete the training online, and when you're finished, you send it back to us! To apply for a loaner kit, please click the loaner kit application button below and complete the form. You can expect to hear back from us within 5 business days. Signups for the loaner kit are currently closed. Join the waiting list via the form below. We will contact you when we resume the loaner kit program. If you already have a Let’s Start Coding Base Kit, you can still complete the training. Just follow the steps below! 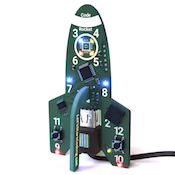 The free 4 hour training course walks you through setting up a coding kit, coding with it, and integrating coding into your classroom. 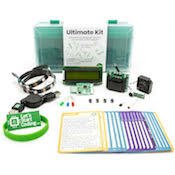 This training is appropriate for teachers of students grades 4 through 12 and covers using our Base Circuit Kit. You will need a Base Circuit Kit on hand to complete the training. Once the training is complete, you'll be able to download a certificate of completion and a Let's Start Coding Educator badge. You can also request a 'SCORM' report if required by your administration to have the hours approved. Watch this step-by-step video that details how to enroll and get started with the online course. 1) Click the button below to enroll in the course. You'll see the Let's Start Coding Independent Workshop page. Click Self Enroll. 2) Enter the access code LSCPD2018 . 3) Select either "I have a Coursesites Account" or "I need a Coursesites Account"
4) Sign up or enter your account credentials. 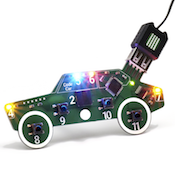 6) Read the 'Welcome' and 'Completing the Let's Start Coding Workshop' material. There are instructions to start the course in the 'Completing the Let's Start Coding Workshop' page. If you have any questions or feedback about the training, please contact us via email at info@letsstartcoding.com.